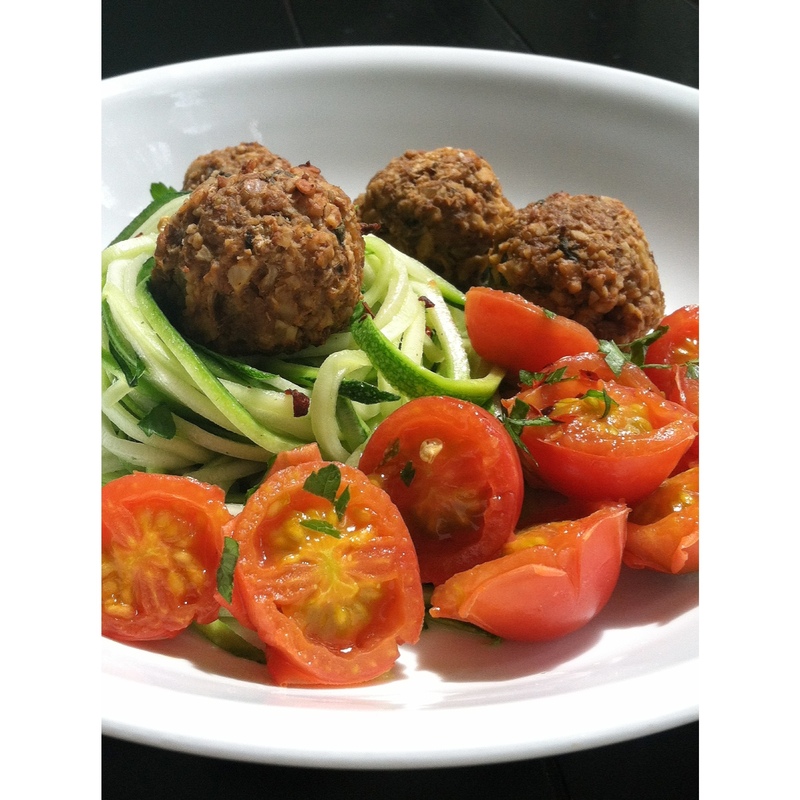 Tempeh-Walnut Balls. [with zucchini linguine] | Eat More Plants. I took out A LOT of books on foraging and edible flowers this week. A lot. The librarian didn’t look at me funny. Of course she’s used to this stuff by now. I was glad to come upon so many new things that I’ve seen around, while hiking or just in my yard, and haven’t tried before. I tried steaming unopened sunflower buds…that was not pleasant. Whoever wrote that recipe must not have tried them. The recipe boasted “a flavor similar to artichoke hearts”. While yes, they did look like artichokes, the taste was completely too bitter to enjoy. I don’t even know what to compare it to, just not yummy. Daylilies seem to be a common theme among wild edibles, being that they spread prolifically and can be found pretty much anywhere. I’ve tried battering them and frying them just like squash blossoms and they come out great. Just make sure to remove the inside pistils before using. They can be a little off-putting. So in the midst of all my foraging I realized that my zucchinis were piling up quickly in my fridge and I needed to do something with them. I wanted to make zucchini linguine but with a little something extra for a heartier meal. I remembered that a friend had posted walnut-tempeh balls a while ago and I’d been meaning to try them because they looked amazing. Well, not only do these look amazing, they taste out of this world. They would be perfect as a hors d’oeuvres or of course with a meal. Simple enough to make that I would as often as I’m in the mood for them. Although they do have soy in them, I buy good quality organic, non-GMO tempeh and you should too if you’re going to eat soy. I found this recipe reposted on another vegan blog vegan crunk. The original recipe is in a vegan cookbook written by Brian Patton which I’m going to have to check out one of these days since I keep coming across his great recipes! Slice your tempeh into strips and place it in a veggie steamer for 25 minutes to soften. While the tempeh is steaming, prepare the other ingredients. Place everything besides the tempeh in a food processor and blend until you have a moist, mealy mixture. When the tempeh is done steaming and cool enough to handle, crumble it into a bowl. Make sure there are no large pieces and it’s uniformly crumbled. Add the mixture from your food processor into the tempeh bowl and mix well. Line a baking sheet with aluminum or parchment and rub it with oil. Form balls a bit smaller than ping-pong balls and place them on your sheet. They will brown significantly but be careful not to let them burn. They will hold together nicely once cooked all the way through. If they feel like they are not holding together, they might not be cooked enough. The balls should not stick to your pan but if they do, loosen them gently with a spatula to prevent breaking them. Serve with a tomato sauce for dipping or with some zucchini linguine and seasonal vegetables. Pink grape tomatoes, zucchini and herbs from my garden. Sunflower & Cacao Nib Cookies. Mini Plums & Raspberry Cashew Cream. Nicely written, my add did not even kick in once. I enjoy the foraging aspect to your recipe… Very connective! Me too!! I made them twice this week. Good as an appetizer or with pasta & veggies. 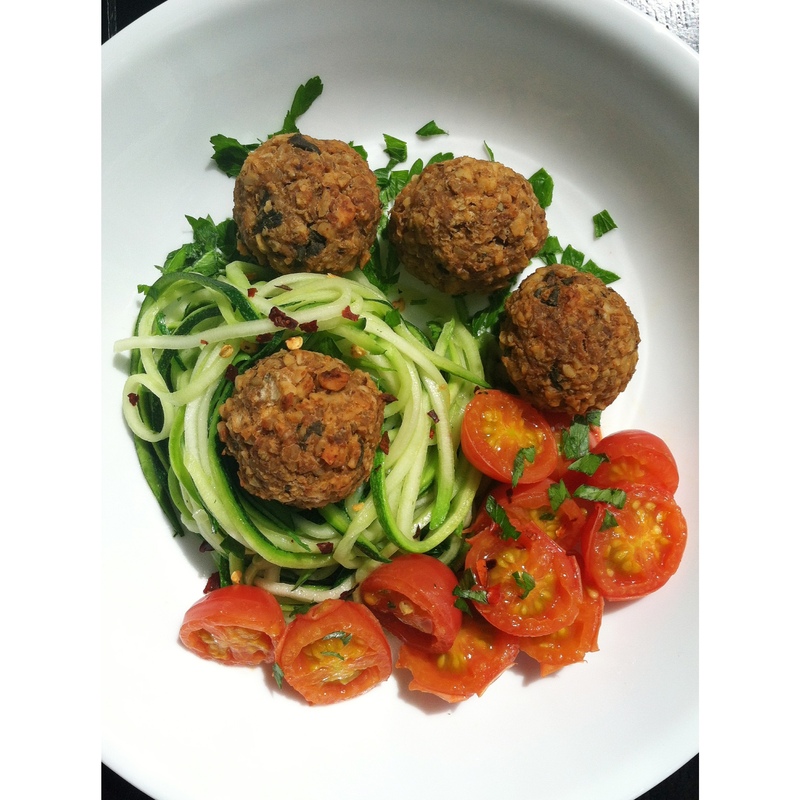 Hi, used your recipe as a base to modify my tempeh walnut meatballs. I added a flax ‘egg’ mixture and rolled the tempeh meatballs in panko bread crumbs before baking. I also found that baking them for 40-45 minutes at 350 proved to hold them together better. Thank you for the recipe!